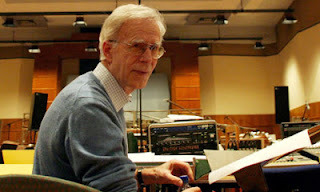 This playlist is compiled after the list of works on the composer's site, and sorted in reverse chronological order; from Speakings (2008) to Dialogue (1965). Two undated works (The Tree & Ah! Sun-Flower) are included at the end. For newcomers, I recommend to start with the String Quartets, Bird Concerto With Pianosong and White as Jasmine. Get this collection in one Spotify playlist: Jonathan Harvey - Reverse Chronological Collection (91 tracks, total time: 11 hours). Ctrl (CMD) + G to browse in album view. Also check out A Guide to Jonathan Harvey's Music on Guardian (and an interesting comment on contemporary music and Buddhism).